Consumers Union, the non-profit owners of the respected Consumer Reports brand, has ramped up its efforts to make Trader Joe's a flagship retailer, and break the addiction to large-scale 'preventive' use of antibiotics on U.S. industrial scale farms. The video's well-done, for what it's worth. But elsewhere on the NotInMyFood.org site, the Consumers Union folks mistakenly characterize Trader Joe's when they write, "We are calling on Trader Joe’s, a leader in environmentally conscious food sourcing, to help end a meat production practice that is a serious danger to public health." I mean this in the nicest way, because anyone who's read "Build a Brand Like Trader Joe's" knows that, overall, I admire the company. But Trader Joe's has definitely not been a leader in environmentally conscious food sourcing. In fact, Trader Joe's is not a vertically integrated company. All of the products sold under the Trader Joe's brand are outsourced. And since many of Trader Joe's suppliers are in the food preparation business, not the food-growing business, even those suppliers have no easy way of knowing whether or not livestock operators are abusing antibiotics. Trader Joe's also has a famously lean head-office staff. Buyers simply don't have the time or manpower to police two layers deep into the supply chain. The company could insist that suppliers assure it that they, in turn, are sourcing meats that aren't loaded with antibiotics. But even that measure would be meaningless unless it was policed. And I can guarantee you that it will be a long, long time before Trader Joe's spends a cent on lab testing. As I've noted in the past, Trader Joe's incredibly strong cultural brand makes it a lightning rod for this kind of protest. It's unlikely to work, and I doubt that it's causing its famously insular CEO Dan Bane any lost sleep. Trader Joe's draws a famous veil of secrecy over its suppliers -- an obsession that, in turn, has made identifying the suppliers of Trader Joe's products a bit of a parlor game amongst grocery nerds. 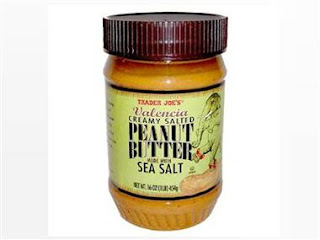 Now that the Center for Disease Control and the FDA have widened the recall of nut butters contaminated with Salmonella -- the recall was, at first, associated only with Valencia Creamy Salted Peanut Butter made with Sea Salt -- the CDC has unwittingly outed another Trader Joe's supplier. The company is Sunland Inc., which is based in New Mexico. Sunland also supplies nut butters sold under dozens of other brand names, including Archer Farms, Earth Balance, Fresh & Easy, Heinen's, Joseph's, Natural Value, Naturally More, Open Nature, Peanut Power Butter, Serious Food, Snaclite Power, Sprouts Farmers Market, Sprout's, Sunland and Dogsbutter. Two additional Trader Joe's products are also included in the expanded recall - Trader Joe's Valencia Peanut Butter with Roasted Flaxseeds and Trader Joe's Almond Butter with Roasted Flaxseeds. Out of curiosity, I typed 'Trader Joe's' into the site's search field, and saw that there were pages and pages of complaints that cited Trader Joe's, too. What was the difference? As I started to read the comments, it was clear that the vast majority of the complaints were about other stores and brands, and cited Trader Joe's as an example of doing things right. If I eat more than a couple of handfuls of Fritos or Lays potato chips, I get sick to my stomach. I contacted the company, but they didn't follow up with what I must assume they thought was a personal problem. I found a nice solution however. Trader Joe's sells a product called, "Organic Corn Chip dippers". They are very much like Fritos, don't make me sick and are cheaper. I highly recommend them for Frito lovers who are affected in a similar way or who are looking for a healthier, possibly organic snack food with a great taste and texture. Trader Joe's doesn't try to be all things to all people, but they do strive to keep the customers they do have, happy. Companies, like Michaels, that don't mind alienating existing customers have obviously never done the math on customer acquisition. It costs a lot more get a new customer than it does to keep an existing customer satisfied. And with web sites like PissedConsumer now in the marcom mix, irritated customers are more corrosive than ever. By contrast, there's a grassroots movement in Boulder to prevent Walmart from opening a store there. Patricia Calhoun, who reported this dichotomy, cites this as an example of Colorado's 'swing state' mentality, characterizing Trader Joe's shoppers as the blue state/coastal/lefty-liberal Coloradans, and the Walmart shoppers as the red state conservatives. One reason Trader Joe's brand is so strong is that the company has managed to draft a corps of fanatical evangelists, while remaining almost completely opaque at the management level, and with next to no transparency as regards political or quasi-political issues like GMOs in food, farmworker's rights, and sustainability. So what are "Joe's" own political views? It's hard to tell. According to the Center for Responsive Politics' site OpenSecrets.org, Trader Joe's spent $20k to lobby Congress in 2002, but I don't know what they were lobbying for. Trader Joe's also donated about $15k between 2004-'12, with most of that money going to Democratic candidates and causes, suggesting that Calhoun's characterization of Trader Joe's as leaning 'blue' is correct. It's interesting to note, however, that the average amount Trader Joe's donated to Republican congressional candidates has increased in recent years, and now nearly matches the amount donated to Democratic Party congressional candidates. Statistics are not yet available for the current political season. I'll try to remember to check back in a few months, and tell you how Trader Joe's 'voted' with its donations during this Presidential election. came to the conclusion that better-paid workers resulted in higher profits for owners. The web site BusinessInsider.com could hardly be confused for a lily-livered liberal propagandist. 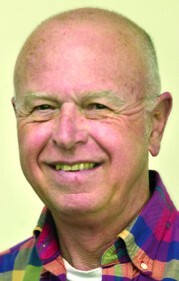 One of its stories recently blamed Bill Clinton for the current U.S. economic malaise. But a recent post there caught my eye. 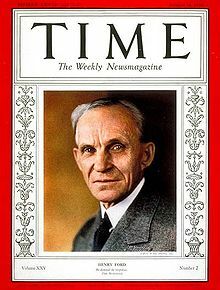 It was on the subject of the way, in 1914, that Henry Ford doubled his workers' wages. Ford's move is often characterized as triggering the rise of the American middle class. In that Business Insider post, Ed. in Chief and BI CEO Henry Blodget argued that Ford's move was in no way philanthropic, and that the oft-repeated view that he just wanted his own workers to be able to afford the cars they assembled is an oversimplification. Ford really wanted to retain skilled workers, and cut recruitment and training costs. As a side-effect of raising those wages, however, Ford forced other manufacturers to compete for the best workers, and created a large class of consumers with disposable income. Blodget explains that by doing that, Ford made himself and other entrepreneurs richer; eventually all that money -- and more because the economy was growing -- came back to them. He argues that what America needs again is for capitalists to loosen the purse-strings on their large corporate profits, and pay workers more. But Trader Joe's experience actually goes to show that the benefits of paying employees a little bit more aren't just indirect. Employers don't have to wait for increased wages to flow back through the economy -- at least, not in the retail environment. 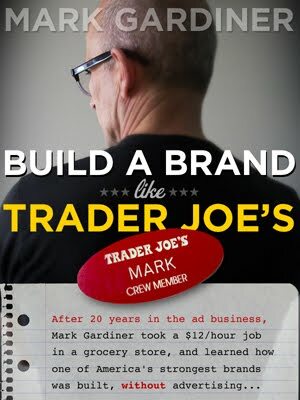 In "Build a Brand Like Trader Joe's" I cite research and my own direct observation to prove that retail stores that have higher staff:customer ratios and pay better-than-average retail salaries have higher sales-per-foot and profitability than stores that attempt to control costs by minimizing staffing expenses. Two reasons this is especially relevant right now are, retail sales account for a very large percentage of U.S. economic activity -- far more than in other countries. And, most of the jobs the U.S. economy is adding right now are low-level 'service' jobs in sectors like retail. 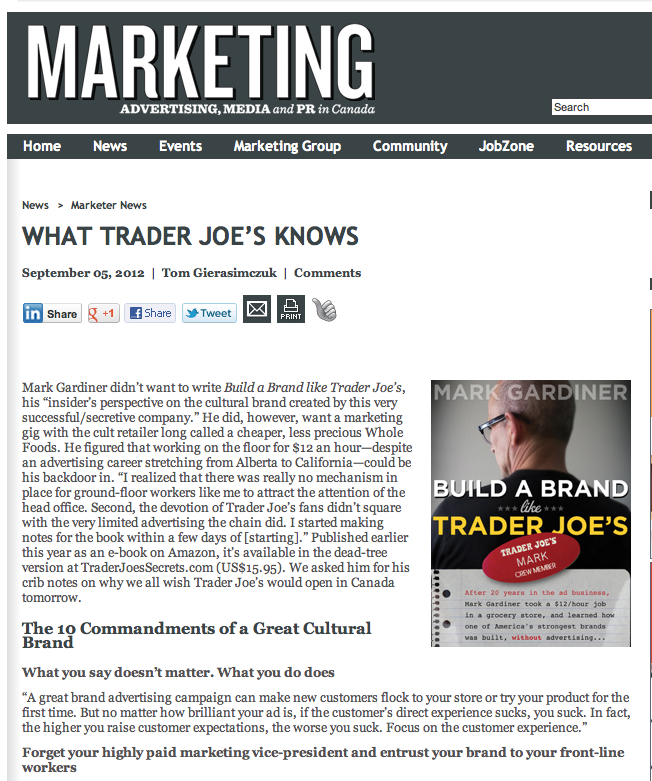 Canada's marketing industry notices "Build a Brand Like Trader Joe's"
Back when I lived in Canada and worked in Canadian ad agencies, 'Marketing' magazine was read by everyone in the business. 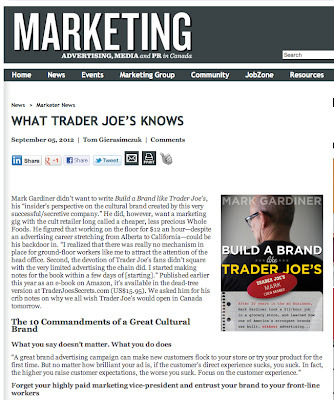 That's why I'm pumped that Marketing is reviewing "Build a Brand Like Trader Joe's" in the issue that comes out on Sept. 19. In the meantime, the Marketing web site has a little feature they call 'What Trader Joe's Knows'. They asked me to provide my ten commandments of building a great cultural brand. Since I always try to over-deliver, I threw in one bonus commandment. If you want to read them, go here. Costco's CEO Jim Sinegal is no stranger to alpha-beating retail. Yet when the investment site Motley Fool caught up with him in this video, he admitted to owning only two stocks: Costco and Warren Buffett's company Berkshire Hathaway. What's interesting, though, is that when he was pressed to describe what he'd look for in a retail sector investment, he cited a privately held company, Trader Joe's! Sinegal's not the first investor who's wished he could buy a stake in the Albrecht family trust's cash cow, but there's no Trader Joe's IPO in the foreseeable future. "I would look for the types of qualities that you see in a Trader Joe’s," Sinegal said. "That you’ve got a niche, that you’ve got quality products, you’ve got a quality organization, everything about that seems to suggest quality, including the people that they hire in their stores, and so it’s pretty easy to get turned on by a business like that." As the author of "Build a Brand Like Trader Joe's", I'd add that it's a real bonus when the company sustains its most valuable asset -- its own brand -- on the strength of corporate culture, spending only a fraction of it's rivals' budget on advertising.